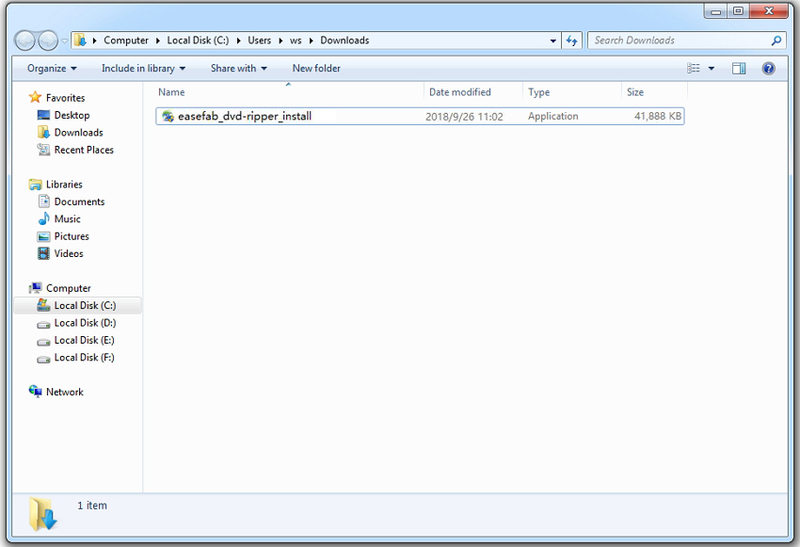 How to use EaseFab DVD Ripper? 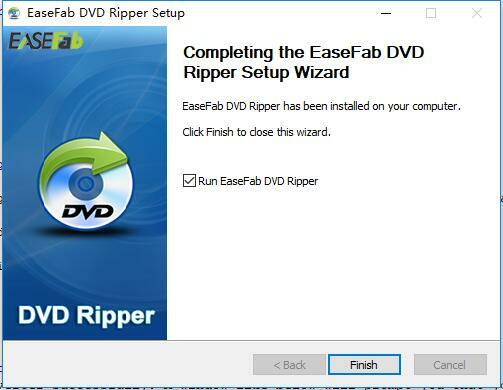 Note: We have both Windows version and Mac version for EaseFab DVD Ripper. 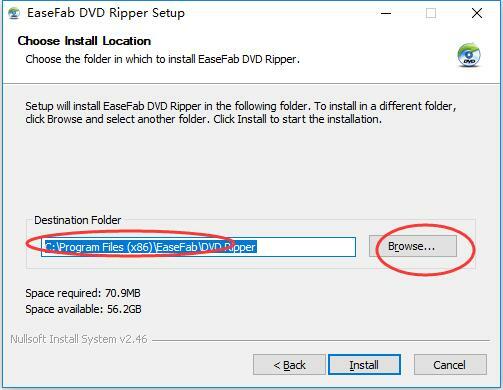 For the whole guide of EaseFab DVD Ripper, we will mainly introduce the Windows version, and the Mac version has the same functions if there is no special remark. 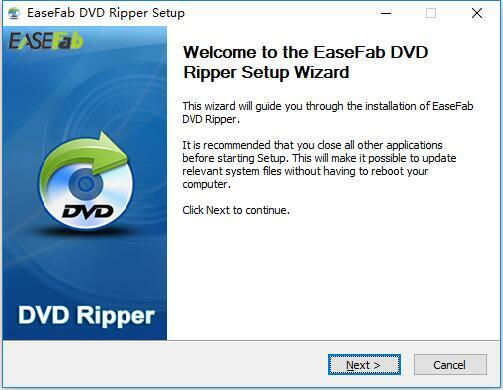 To facilitate your use of EaseFab DVD Ripper, there are 4 main modules available to get started: Install, Basics, Settings and Register. 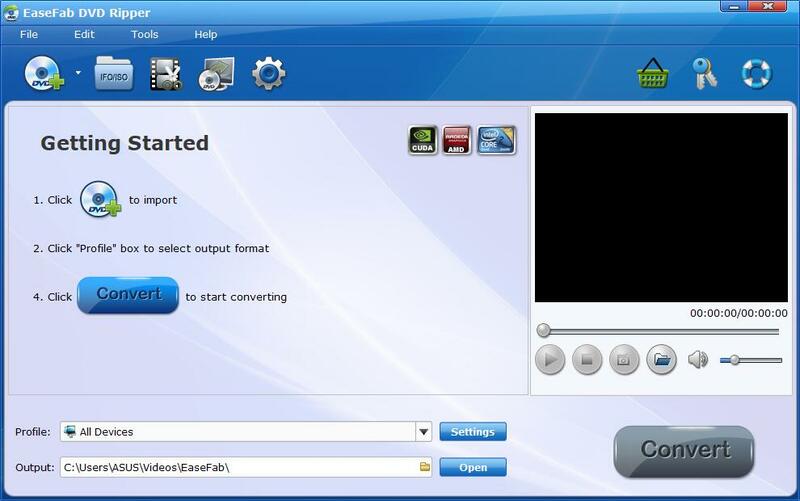 It will take seconds to install EaseFab DVD Ripper successfully. 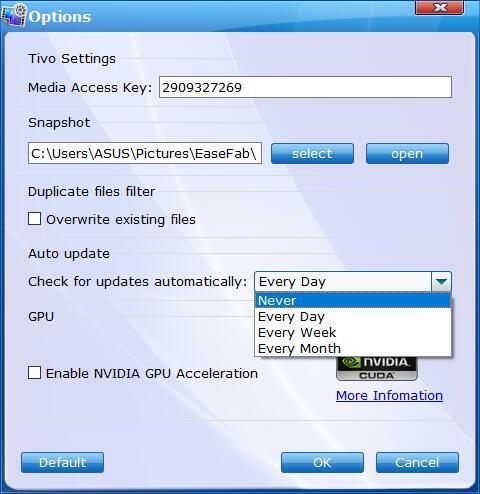 A window like below will prompt you that you can click Finish button to open EaseFab DVD Ripper at once. 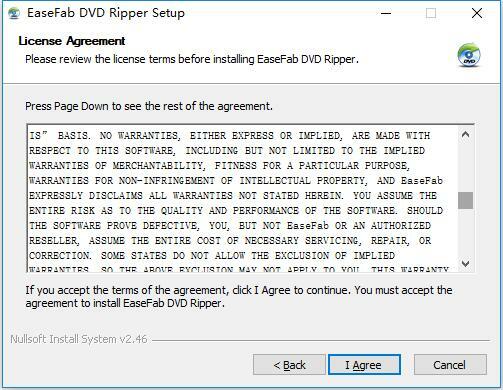 After clicking Finish button, you will enter the main window of EaseFab DVD Ripper shown as below. 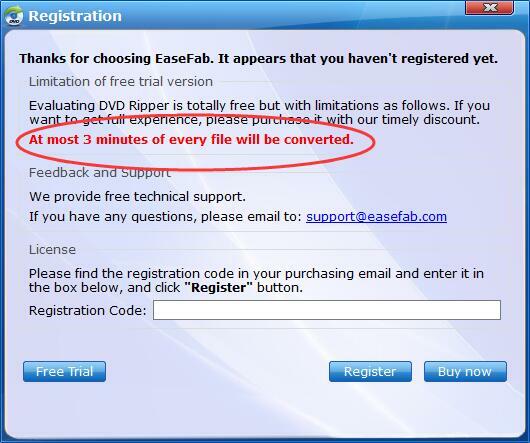 If you want to enjoy the full features without any limitation, please simply click icon at the upper-right corner to purchase EaseFab DVD Ripper from the website; If you already have one license code, please click icon to enter the Register window. Then, copy and paste the licensed E-mail address and the registration code to avoid any typos, then click the Register button to go ahead. 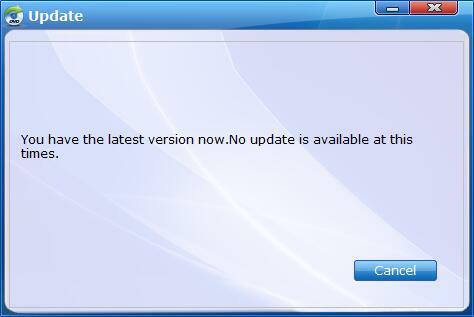 Meanwhile, please make sure that the Internet connection is fine while you register EaseFab DVD Ripper. 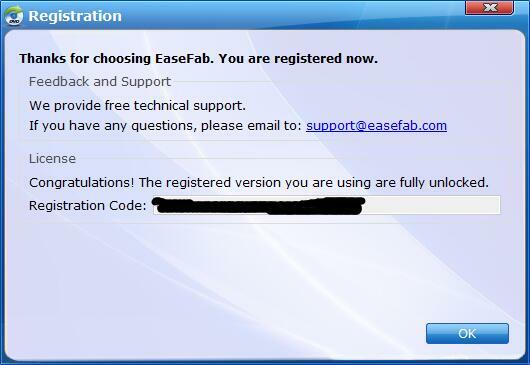 Once EaseFab DVD Ripper is registered successfully, you'll see a pop-up registration successful page. 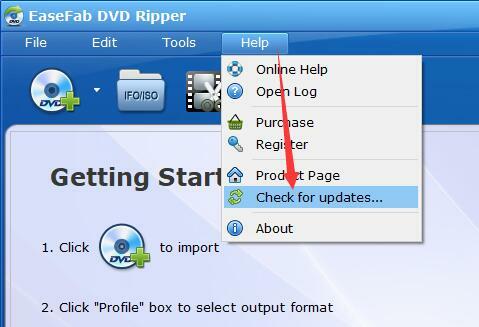 If you want to check if your DVD Ripper is the latest version and update it, you can follow the steps below to update automatically. 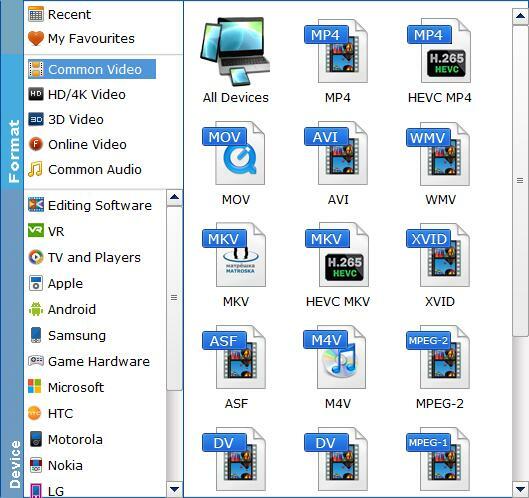 Basically, EaseFab DVD Ripper can help you convert any DVD movies to all popular SD and HD video formats like AVI, MP4, WMV, MOV, FLV, MKV, 3GP, MPEG, TP, TRP, HD AVI, HD WMV, HD MOV, etc. and any devices playable formats. 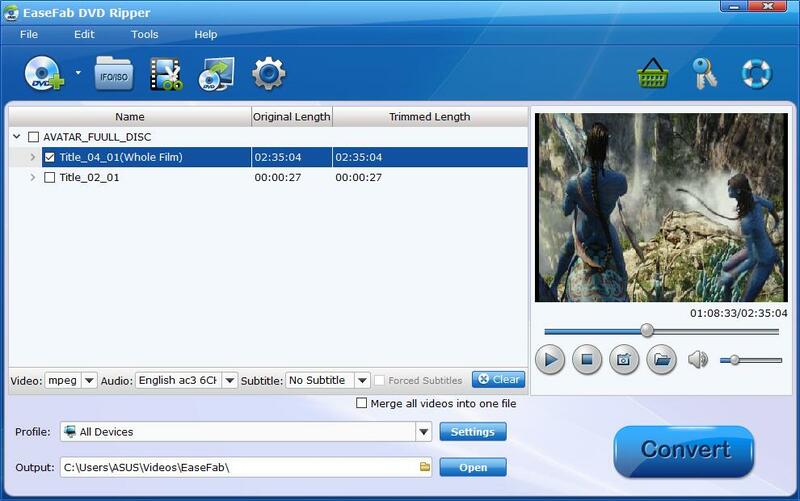 Besides that, EaseFab DVD Ripper can be also used as an exciting DVD copy software to help you backup your DVDs.